Book of the Week Book of the Week: A Pick by Christian Michael Filardo Christian Michael Filardo selects Sparkling Past by Benjamin Hugard and Klaus Speidel as Book of the Week. By Benjamin Hugard and Klaus Speidel. RVB Books, 2016. Christian Michael Filardo selects Sparkling Past, by Benjamin Hugard and Klaus Speidel, from RVB Books, as Book of the Week. "Over the last year, I have spent hours coming back to Sparkling Past, a book of photographs by Jean-Francois De Witte curated by Benjamin Hugard and Klaus Speidel. Sparkling Past is not your ordinary book. 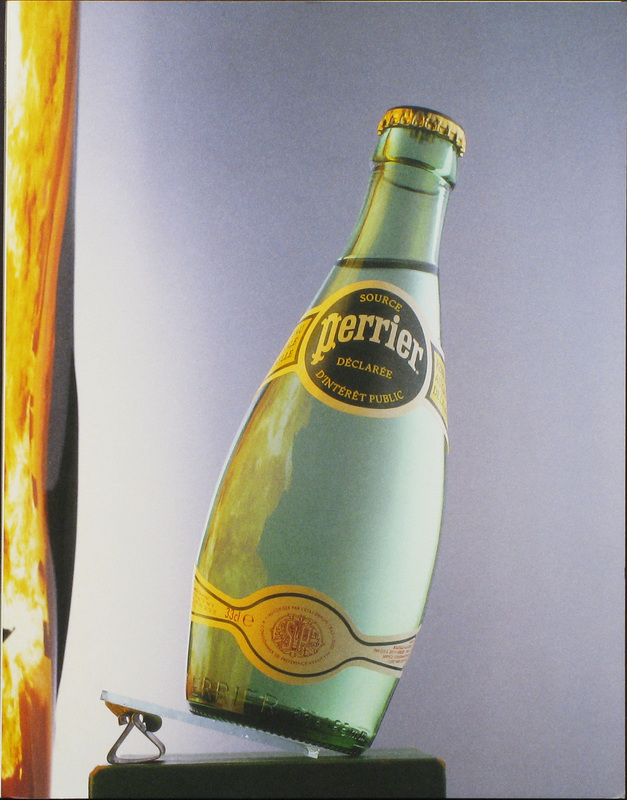 Sparkling Past is a book of rejected commercial photographs arranged in a monograph by two curators. While there is an emphasis on the curatorial aspect of selecting the perfect rejects, one-offs, and stand-alone narratives, I don’t find myself impressed by the academic rigor involved in the formation of this book. 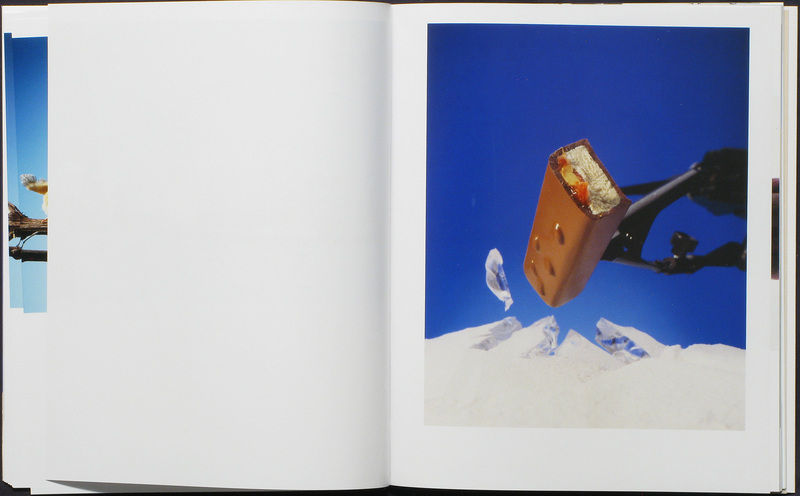 What I find truly impressive about this softbound monograph is the nature in which these commercially rejected photos work together to create a surreal capitalist fantasy where everything is perfectly lit, beautiful, and to be consumed. Often, the photographer is thought of as a magician, and the photograph a spell that creates something that takes a moment, usually unperceivable to the human eye, and renders it perceivable. We are shown the armature that floats a snickers bar above a serene bed of plastic ice that appears to be exploding. 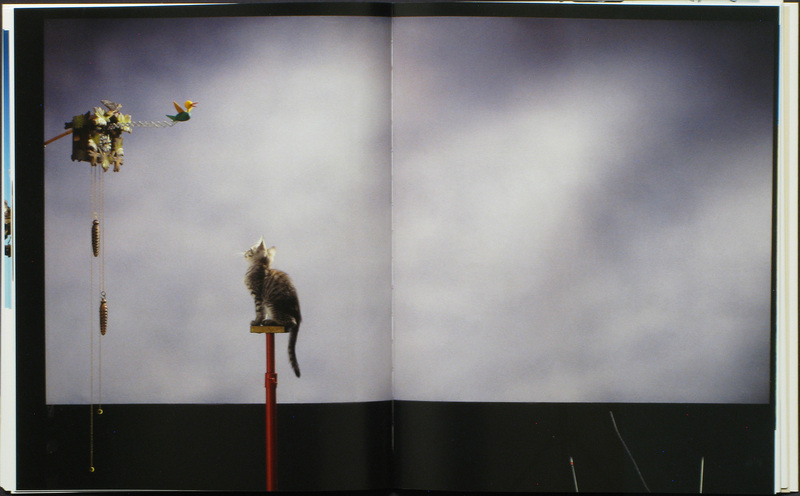 A cat sits perfectly on a pedestal in front of a cuckoo clock, chiming in front of a gray backdrop, perfectly lit with white bounced light. My favorite image is that of a Sony Integrated Stereo Amplifier sitting in a blue void that mimics a monsoon sky stacked on top of some sort of painted concrete floor. These images are beautifully constructed, each still life as sculpturally unique as they are photographic. Sparkling Past. By Benjamin Hugard and Klaus Speidel. RVB Books, 2016.